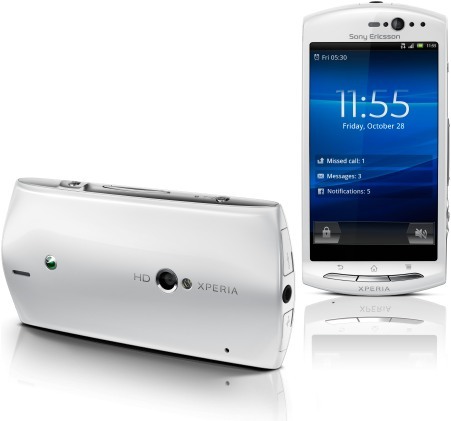 Xperia Neo V is an Android smartphone which runs on Android 2.3.4 Gingerbread OS. Xperia Neo V Runs on 1GHZ processor and support GSM and 3G connectivity.Sony Ericsson Xperia neo V comes with a dual camera 5 MP rear autofocus camera with LED flash that supports 720p video recording and VGA front facing camera for video calls. 3.7 inch Reality Display with 854×480 pixel resolution and Mobile Bravia Engine. Display Colors 16 Million Colors ,Display Type LED-backlit LCD Touchscreen. Sony Ericsson Xperia neo V supports 3G HSPA/UMTS network, Wi-Fi, Wi-Fi hotspot, Bluetooth, USB 2.0, a-GPS, DLNA, HDMI-out, USB tethering, Wisepilot turn-by-turn navigation and 3.5 mm audio jack. Facebook, Google Talk with video chat, 3D sweep panorama, Twitter, Google Maps, Microsoft Exchange ActiveSync. Organiser like Document readers,Phone book,Android platform,Google Calendar.Since it support Android their are wide rang of apps . Sony is well know to their sound system and it will sound loud.It has feature like PlayNow™,xLOUD™ Experience,TrackID™ music recognition,Sony Ericsson , Media Player,Bluetooth™ stereo (A2DP). Let's have time pass with your smart phone ,enjoy it. Feature like Radio - FM radio with RDS,YouTube,Video streaming,Motion gaming,Media Browser,3D games. Since Android is powered by Google it will experience the best web support and browsing .such as Google Voice Search,Pan & zoom,Google search, Bookmarks,Android Market,Web browser - WebKit.